I've made it very evident that I have a pretty serious love affair with Telltale Games. Their innovative style of interactive story is right up my alley. In fact, I’ve yet to play a game of theirs that isn't completely fantastic. Since they have a knack of creating new and interesting games out of several properties, I wanted to delve into a few games and franchises that I'd love to see Telltale give their episodic treatment. This one is probably pretty obvious, but it just makes so much sense. Marvel hasn't done anything significant in the gaming market, despite being massively popular and usually a hit among the gaming community. Additionally, Marvel has such a gargantuan stable of characters and backlog of stories that you could virtually create content forever. Essentially they'd be making an interactive comic, and that's secretly been a wish of mine since I was a little kid that first got his chubby hands on a comic book. Admittedly, some of their lesser known characters may not get as much love, but with the general public becoming more and more familiar with comics in every form, this poses an opportunity to sell lots and lots of games. Not to mention the target audience is exactly who would want these games. It makes sense from a sales perspective, and because it would assuredly impress many gaming fans. We know Telltale can do horror, and I can't think of a better horror franchise. With the Silent Hill franchise being in a weird form of limbo, taking it in a fresh direction could be exactly what the doctor ordered. The pacing is well-suited for these types of games, and the creepiness of the Silent Hill setting would translate well into the Telltale formula. Immersing the player in this setting could be an experience like no other. For many players, the action in Silent Hill has always been secondary to the story and puzzle solving, anyway. The vast history of the game series also makes it an ideal candidate for multiple sequels to creep us out for years to come. I've always been a James Bond nerd. He's a great character with an awesome legacy, and it's been far too long since he's been portrayed rightfully in a video game. I'd love to see an espionage story in a Telltale game, so I think Bond fits that bill perfectly. Plus, Bond often sees vast moral conundrums which makes for great content in the game. My only hesitation is questioning whether the Telltale artistic style fits the Bond franchise. Would the suave ladykiller suffer from a more cartoonish take? I think not, believing rather that seeing Bond in a different light could be extremely interesting. Furthermore, the daunting escapes and scrapes with disaster are a perfect venue for the QTE button prompts. Just thinking about it, I can see James dodging cars and evading massive explosions, or even taking high risks in an engrossing car chase. The possibilities are nearly endless, and Telltale could seriously bring some fantastic new storytelling elements to an established franchise. Now this may sound bizarre, but I think a game with political mind games and ladder-climbing would be an amazing fit for a Telltale franchise. I'm not saying you should necessarily play as a main character from the hit show, but being thrown into the backstabbing world of American politics could be fascinating and extremely fun. Betrayal, murder, action, and calculated strategy are all parts of House of Cards, so there are infinite cool choices that could be offered to the player. We could become a voice of reason, trying valiantly to stamp out corruption. Or we could play along with the bureaucrats and try to climb over the ruin of others. I'm excited just thinking about it. It would also give a dose of the show to those of us who are completely obsessed and don't want to wait an entire year to get back into the mix. This is the most obscure and ultimately next to impossible, but I'd personally love to see the Stephen King’s Dark Tower book series on my small screen. With so many characters and storylines to work with, Telltale would have no problem finding content to fill a Dark Tower series. It's part western, part fantasy, part sci-fi, and part epic fable, all rolled into one delightful possibility for unlimited entertainment. Although the other choices I've listed would be much more popular with the mainstream fans, this is the one that flies closest to my heart. Franchises with strong narratives tend to do well with Telltale, and a series of seven legendary books is probably the best narrative you can provide. The characters are deep and the setting is interesting, making the Dark Tower an ideal target for the Telltale treatment. Plus, is there any better decision to be made than how to ultimately save the world? Those are my five franchises I’d love to see Telltale make into games. As a studio that continues to take on new and interesting licenses, I’m sure we’re bound to see more from them. 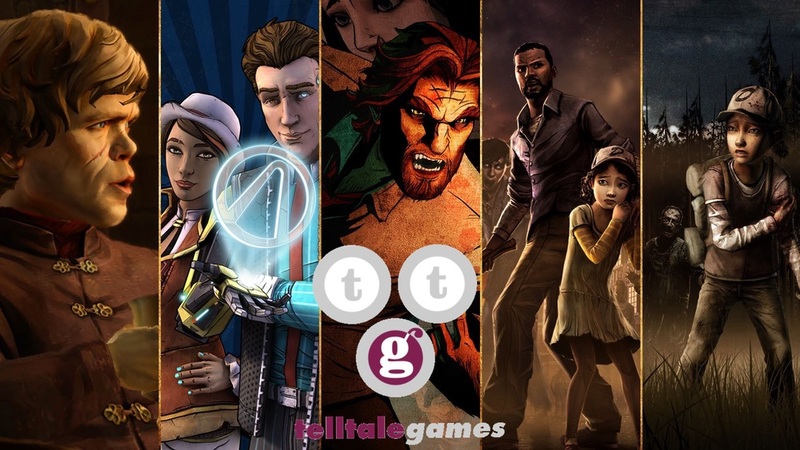 Feel free to leave a comment with some games you wish Telltale would make or send them to us @GameAwry on Twitter.